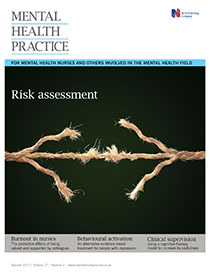 In the UK, the need for suitably trained clinical supervisors to ensure the effective delivery of psychological therapies in routine clinical practice is widely recognised. This is endorsed by professional guidance and policies. For nursing supervision and supervisor training, reviews of the research evidence indicate the effectiveness of a cognitive therapy model. Evaluating a trial of this method in a small community rehabilitation service affirms its benefits and encourages its use.